Blurb: It’s becoming a trend that talented young players, predominantly forwards, often leave PSG in search of regular first-team opportunities elsewhere. They are often given the platform to showcase their ability and succeed away from Paris in the long-term. Augustin is one of the best examples of this. Having left to join Bundesliga side RB Leipzig after eight years with the French giants, he has already settled in quickly to help reduce the goal-scoring load off Timo Werner. 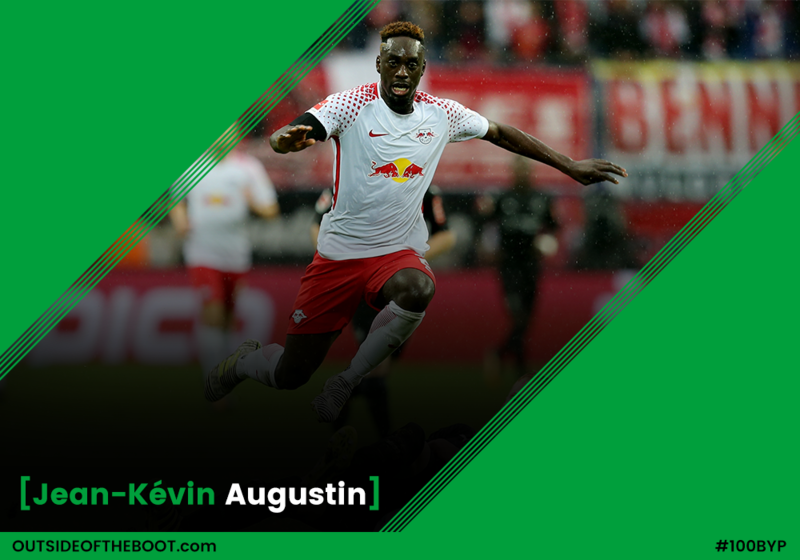 Alongside the likes of Emil Forsberg and fellow acquisition Bruma, Augustin has already combined to create havoc in the final third for Ralph Hasenhüttl’s side this season. Analysis: Augustin is a tricky customer in the final third, with plenty of attributes which make him a nightmare for defenders to contend with. Physically strong and agile enough to weave his way past opposition challenges, he also tends to accelerate both with and without the ball into dangerous areas. His movement itself is unpredictable, making it harder for defenders to intercept and dispossess the Frenchman once he’s advancing forward with purpose. As a result of this, he is regularly deployed out on the flanks. Right-footed but capable of using both, he developed a fearsome knack for scoring goals while playing for PSG in the UEFA Youth League. Having netted twelve over three seasons, he was also influential with six goals during the European Championships last summer as France’s u19s were victorious – players including Mbappe and Harit, who is also on this list, both excelled. One area for improvement is his efficiency when it comes to end product, where he can often work hard to beat his marker before making the wrong decision – either to pass or shoot – in various situations. He always seems to have a skill up his sleeve but as he matures, needs to be more composed when under pressure in forward positions. Looking Ahead: Now is a crucial stage in Augustin’s development, as a highly-rated player that is learning his trade abroad. It’s clear that he features heavily among Leipzig’s plans going forward, as they were happy for him to sign a five-year deal upon arrival in Germany. Werner’s long-term future is not so certain with a number of clubs reportedly interested in making a formal approach. Augustin is good enough to play out on the wing but should do his utmost to establish himself predominantly in a centre forward role, where he has achieved so much success in recent seasons. Competition should not faze him either, instead acting as a timely reminder that there is always someone eager to take your place, should you not perform at the high standards he himself has built up from the youth ranks in Paris. 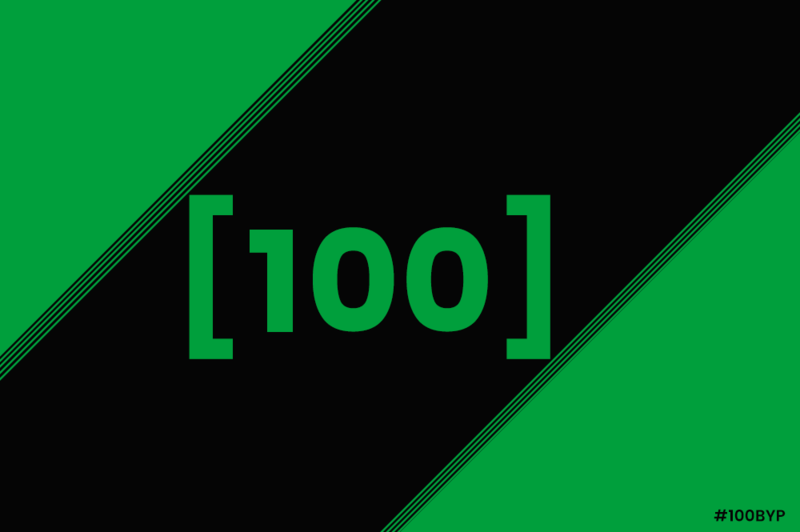 Blurb: The Bundesliga is adept at producing fast, proficient wingers. From Bayern Munich’s Arjen Robben to Borussia Dortmund’s Marco Reus, the outside spaces on Germany’s pitches are inhabited by some of the most skilled players in all football. Jamaican Leon Bailey is looking to continue that trend. Coming from a small beginning, Bailey travelled around Europe with his parents, looking for a club that would take his talents. Now, Bayer Leverkusen’s next big thing is lighting up the German top tier. Analysis: Sticking mostly to the wide areas of the pitch, Leon Bailey is a winger through and through. He is often compared to Robben due to his knack for flying down the wing with pace, cutting back, and curling the ball into the net from inside the box. His dribbling ability is excellent as he stays on his feet even with a defender alongside, and keeps his head up in the process to look for his teammates. Bailey is hardly one-dimensional though. Along with his outstanding ball control, his crossing is among the best in the Bundesliga, with the 6th most accurate crosses per game (2.3) this season. His confidence on the ball shows through his passing, often dazzling fans at BayArena with accurate back heels and one-touches. He can refine his shooting and put more technique into his pressing and defensive contribution, but at his current rate Bailey will easily score more goals this season than he ever did while at Genk in the Belgian Pro League. Looking Ahead: Leon Bailey is having his best season to date. After a worrying second half of the 2016/17 season after transferring from Belgium to Germany in the January window, he is quickly becoming Leverkusen’s most influential attacker on the pitch, and will be keen to continue his progress as Bayer Leverkusen makes a run to qualify for Champions League football next season. The sky is indeed the limit for this young wide man. On the international level, despite scoring a free kick in his only appearance for Jamaica’s U-23 team, Bailey is in a questionable relationship with the JFF (the Jamaican FA), with his agent stating he won’t play for his home nation’s senior side until a better standard of football is seen in the Caribbean island. As this situation continues to be monitored, one can only hope to see the winger playing on the pitches of the Reggae Boyz in the future. Blurb: After losing his father at a very young age, Boureima Hassane Bande held on to the life with the beautiful game, football. His big brother was the new breadwinner of the family, and Bande was playing for a local team in Karpala, Burkina Faso when Maiga Bureima, a former Burkina Faso international who also played in Belgium for 8 years between 2002 and 2010, unearthed him and made him join Salitas, the newly-established academy for youngsters from Burkina Faso, Côte d’Ivoire, Ghana and Benin. Meeting Bureima was the beginning of Bande’s journey which will be continuing in Amsterdam in 2018, at one of the best showcases for young players, AFC Ajax. Analysis: Joining Salitas academy was a crucial step for Bande’s promising career, because Salitas not only allowed the youngster to display his talents but also provided him accommodation, food and education. Maiga Bureima praises his pupil’s good technique but he notedly highlights his mentality as his best quality. Thanks to his strong mentality, which is why he woke up at 5 a.m. every morning to train, he was the top-scorer with 16 goals in only twelve games in his first season at Salitas FC in third division (2014-2015). In the following season, in which Salitas F.C. ended the league as the runner-up, the 16-year-old was the top-scorer for the second time with eighteen goals. Apart from his aforementioned mental and technique qualities; enchanting dribbling skills, endurance and the ability of finishing with both left and right foot can be mentioned among Bande’s other notable specialties. After scoring another 12 goals for Salitas only in the first part of the season 2016-2017, Anderlecht gave him a chance to show himself and he took it well enough to score a goal against PSV in a friendly. However, the management decided not to offer him a contract which ended him up at another Belgian side KV Mechelen in July, 2017. In his very first game for KV Mechelen, it took only 11 minutes for Bande to score his first professional goal against Antwerp. After scoring 8 times in 14 games including a mesmerizing bicycle kick against Zulte Waregem in Jupiler Pro League, he got in the radar of Europe’s big teams including PSV, Porto, Valencia and eventually AFC Ajax won this race with a fee of 9.5m Euros (including bonuses) and signed him for 5 years starting from July, 2018. Looking Ahead: AFC Ajax is well-known by their deftness of making promising talents better and even the best and it is clear that Bande will fight for the chance to play with many other promising youngsters including Justin Kluivert, Kasper Dolberg and Matteo Cassierra. The time will show us whether or not Boureima Hassane Bande will take this chance good and reach the quality of his idols Karim Benzema, Samuel Eto’o and Ronaldo Luis Nazario de Lima. However, if he clings on his strong mentality and keeps on working hard, playing hard; the future seems more than bright for Burkinese himself and naturally for his national team for which he was already capped once. Blurb: The 20-year-old Englishman kicked off his career at Sheffield United’s youth academy in 2005. After progressing through the club’s ranks, he was introduced into the first team in a 3rd round cup tie against Aston Villa in 2014. Although he was an unused substitute in that game, Calvert-Lewin was awarded with a place in League Football Education’s ‘The 11’ for his progress off the pitch. Following loan spells at Stalybridge Celtic and Northampton Town, Calvert-Lewin earned his first big move to Premier League side Everton. Analysis: Not many players can claim that they can join Geoff Hurst and Martin Peters as the only England players to score in a World Cup final. Calvert-Lewin has impressed with the Young Lions over the summer, as he helped the U-17’s lift the World Cup after scoring two important goals through the tournament. 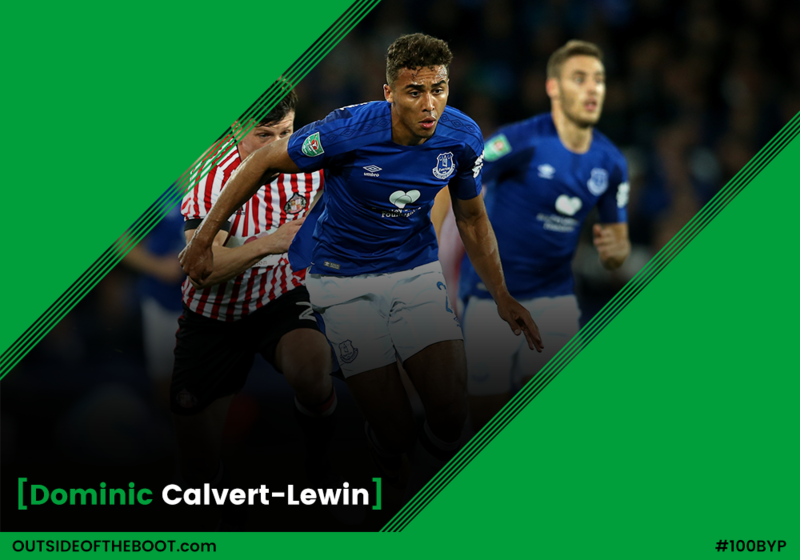 The forward has most impressed with his physicality in the box, and although he stands at just over 6 foot, Calvert-Lewin has impressed many with his heading ability. The striker hasn’t exactly struggled for game time so far this season, but has noticeably struggled in front of goal. The sheer disorganisation of his team mates from top to bottom means that Calvert-Lewin isn’t feeding off the kind of service that suits him the most – balls to his feet that allows him to quickly turn and get an effort away. With only two goals scored in 24 appearances, Calvert-Lewin needs to become a better finisher, even if it means creating and scoring chances he creates solely for himself. Looking Ahead: There is a reason why Everton’s coaching staff prefer to play Calvert-Lewin over summer signings Wayne Rooney and Sandro in the lone striking role. The talented youngster is forced to do a lot of running in and out of the channels, meaning that he isn’t in the right positions to score chances. When the club hire a new manager and set out in a more rigid style of play, then Calvert-Lewin will hopefully begin to receive better service, from which he is guaranteed to thrive in the Premier League. While Everton failed to bring in a more experienced forward to leave the line in the summer, it leaves Calvert-Lewin with the perfect opportunity to prove to the new manager that he should be the man to lead the line for the Toffees going into the future. Blurb: Fyodor Chalov is one of the hottest talents in Russian football right now, Born in Moscow, Chalov made a name for himself after a good run of performances in the Uefa Youth League against the likes of Tottenham Hotspur and Monaco with four goals against the French side giving him a run-out in the CSKA first team coming off the bench against Amkar Perk, he was unlucky not be included in Russia’s Confederation Cup squad after a good run of form at the back-end of the Russian League Season. Analysis: Chalov is a fantastic goal poacher, who can shoot with both feet and knows where to be to sniff out the chances around the six yard box. Not the tallest of players at 5’11 the Moscow born Striker wouldn’t tick the box in terms of Physical ability but he will chase down loose balls and will press the centre-half’s not giving them time on the ball to pick a pass out. A big thing from his game that he has a fantastic first touch which is so important in a poacher’s game if they want to be deadly in and around the box which he shown towards the back end of last season with his good form. He is also quite versatile in terms of playing on his own or in a pair upfront playing in numerous systems over this season so far. Looking Ahead: This season for Chalov is absolutely huge if he wants to head to the World Cup this summer but will have to work hard to secure a regular place in the squad as he’s up against experienced Russian League players like Vitinho and Olanare, sadly for Chalov he has only made just a measly two appearances this season in the league. 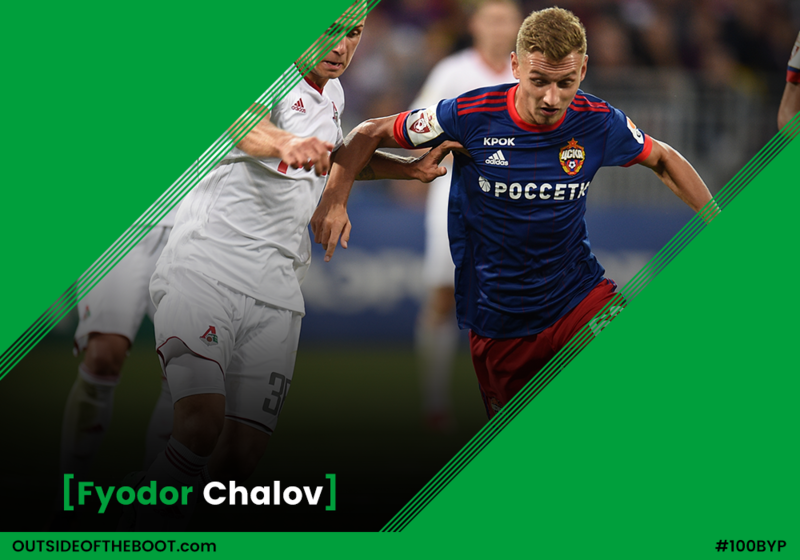 If Chalov get somehow get him-self back into the side and get on another decent scoring run there is no reason why he could sneak into Stanislav Cherchesov’s Russian World Cup squad this summer as a possible third choice behind Fedor Smolov and Artem Dzyuba. Blurb: Football is all about taking your chances. That’s exactly what Patrick Cutrone did this summer in the absence of André Silva and Nikola Kalinic: a brace against Bayern during preseason, which was followed up by some impressive performances in the Europa League and Serie A, has seen the young Como-born forward settle himself into the first team squad with ease. Analysis: Cutrone’s style, indeed, is mainly based on predatory goalscoring instincts rather than physical abilities: he isn’tt the quickest of forwards, yet he knows how to carve out space for him inside the penalty box. Time and space are important in his game: he knows how to be in the right place at the right time, with that goalscoring desire of a true number 9. Cutrone is 183 cm tall and weighs 75 kg: having played underage throughout most of his youth level career, the 20-year-old forward is good at shielding the ball and in layoffs: he tends to keep his passes simple and easily reachable by his teammates. Most importantly, Cutrone is a born goalscorer and a clinical finisher, always sniffing for chances in the penalty box. Looking Ahead: At the moment, his good run of form has been hampered by his lack of regular game time recently, especially in the league where André Silva and Kalinic aren’t performing well. Meanwhile in the Europa League Cutrone’s tally is remarkable for a youngster: he has scored 3 goals and assisted one in 4 appearances, which also add up to his two goals and one assist in Serie A this season (in three starts). With the temporary appointment of Gennaro Gattuso, Cutrone will definitely be looking forward to make an impression on the Rossoneri’s new manager as he can play in a two-man attack or as a lone striker. 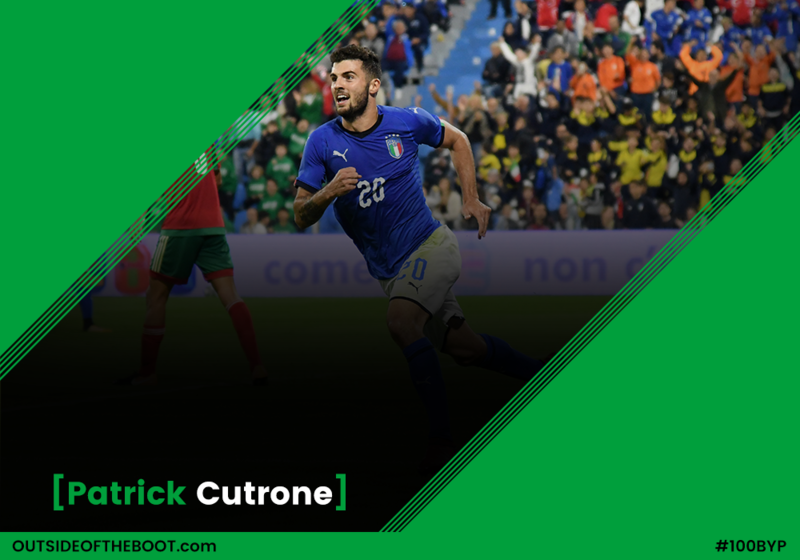 Nevertheless,his form with the Italian Under21 National team has been good so far: Cutrone should play a key role in next year’s friendlies as Italy prepare to host the European Under21 Championships in 2019. Blurb: Dembele’s rise in European football has been nothing short of meteoric. With a debut in 2015 and an instant breakthrough in early 2016, the Frenchman proved he wasn’t your average Ligue 1 youngster. A move to Borussia Dortmund was quick, and the eventual step up to Spanish giants Barcelona soon followed. 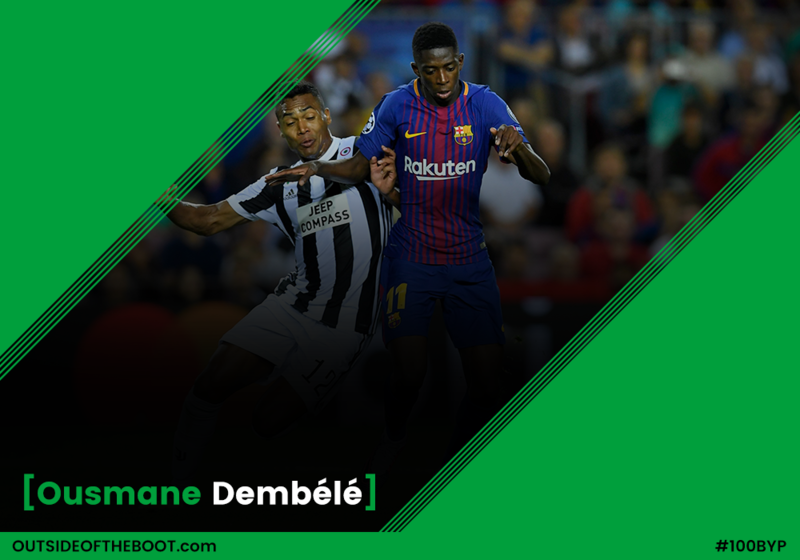 Analysis: With a burst of creativity, Dembele is arguably among the strongest young attackers in World football. Operating in half spaces, the Frenchman has showcased incredible technical ability whilst also being one of the most comfortable dribblers of a football. He combines his close control with his pace to regularly take on defenders with the 20-year-old regularly keen on facing defenders in direct one-on-one situations. And whilst he has regularly displayed quality when in possession, his maturity off the ball is a trait to behold. Regularly finding spaces in tight areas and working well in those half spaces, he’s effective in a side that is constantly faced up against a tight defence. Though efficient when afforded space, it’s his ability and intelligence in these deep defensive situations that add an extra edge to his play. Dembele also adds versatility to his attack, comfortable in both hugging the channel or cutting inside. The Frenchman has also been deployed in a more central role on occasion. This versatility is made possible with the plethora of attacking attributes the former Rennes man possesses. Looking Ahead: Though disappointed with an injury that hampered the start to his Barcelona career, Dembele will soon be up and running heading into 2018. They’ve managed to hold their own in the Frenchman’s absence, but a trio of Lionel Messi, Luis Suarez and Ousmane Dembele could have devastating impact both domestically and on the continent. His return to first team action will require a quick return to top form as Dembele will look to secure a key role in Didier Deschamps’ side for the World Cup in Russia. 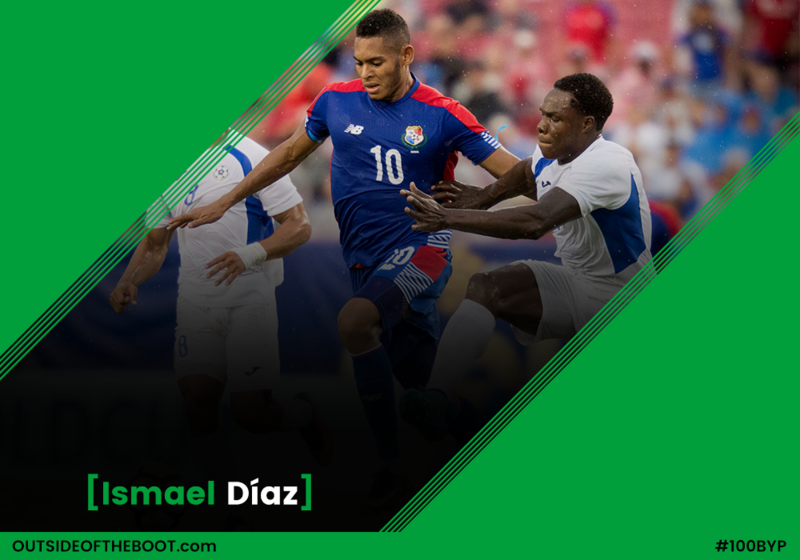 Blurb: Ismael Diaz is an interesting inclusion on this year’s list and certainly a story of resurgence for the young Panama international. After making his debut for Panama, in which he scored, at the age of just 17, much was expected of the young winger. Then, like many young South American footballers, Portugal came calling and Diaz spent a two-year loan spell with Porto’s B side. His first season was a resounding success scoring 13 goals and assisting a further 10 in 37 matches, however, Diaz couldn’t emulate his fine start to life in Europe and quite literally limped to just 2 goals the following season after the beginning of his campaign was dogged by injury; this ultimately cost him his place at Porto. Now the Panamanian finds himself in Spain at Deportivo’s B side who spent just under half a million to give him another shot. Analysis: Diaz does not fit into the mould of a small tricky South American winger with a low centre of gravity, in fact, standing at just under 6ft tall, Diaz is a sizeable player for his position. This blessing in height however has not had a negative effect on his dribbling and ball control, the Panamanian is excellent in possession of the ball and his height and strength adds a dimension to his game which other wingers should most certainly be envious of. His height allows him to be more imposing in possession and a force in the air too. Diaz can fall into the category of player who holds onto the ball for too long and can sometimes ignore the more favourable passing options in an attempt to take on his man, however, this showing of confidence has helped him become the player he is today and if he can guide that confidence into consistency then he may soon reach his potential. Looking Ahead: So far, this season Diaz has scored 3 goals in nine games including a brace against Atletico Madrid’s B team in which Depor Fabril ran out 2-1 winners. He is a consistent starter for Depor’s second string side and with the Russian World Cup on the horizon Diaz will need to keep his performances high to regain a regular spot in Panama’s national side after their miraculous qualification for the 2018 summer tournament in which they face tough games against Tunisia, Belgium and England. Blurb: Landry Dimata is a young man who just enjoys his football. You can see it on his face every time he gets involved in the game. Having burst onto the Belgian footballing scene at the age of 19 with K.V. 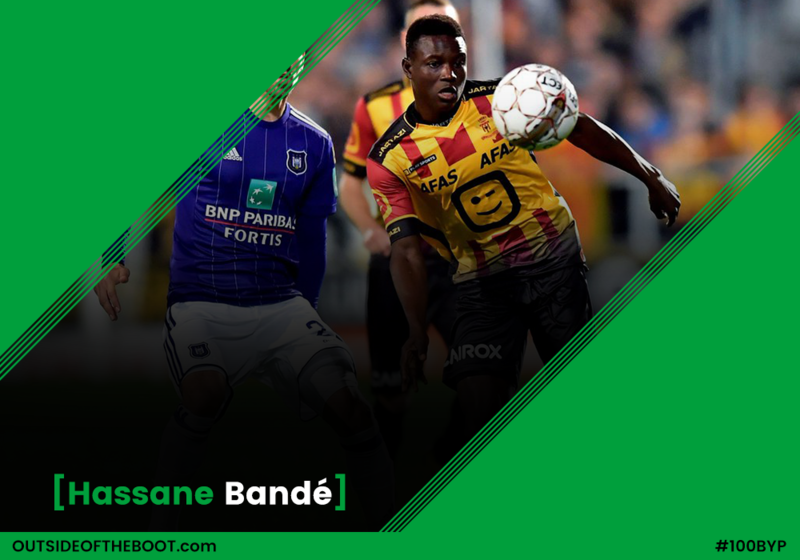 Oostende, scoring 14 goals in 34 appearances in 2016/17, Dimata was snapped up by VFL Wolfsburg, who have been helping him elevate his play to fit the top tier of European football, where he looks to make his impact sooner rather than later. Analysis: There are plenty of Belgian strikers that are all three of big, strong and fast that Landry Dimata could model himself after, but for the time being, he is well on his way to making himself pop as the next in that great line of Benteke’s, Lukaku’s and Origi’s. Dimata was a stalwart at scoring goals in the Belgian league. He did a heck of a lot of that scoring with his head, but don’t let that trick you into thinking he is merely a target man. He is just so intelligent with timing his runs to match those of his creative team mates that his head always manages to be in a dangerous place to field a cross and place it into the back of the net. That said, when he finds himself with space, deeper into the box, he is a capable enough finisher that he can curl one into the top corner and make it look just as easy as a headed effort from three yards out. Dimata also has a soft first touch, which can lead to one-time efforts on goal just as often as it can lead to setting himself up for a better chance on net. He knows his strengths well and utilizes them with fluidity and efficiency, giving defenses very few resources to choose from when it comes to stopping him. Looking Ahead: Wolfsburg brought in Divock Origi on loan from Liverpool and it’s clear that they had big ideas for the 22 year old, but given that it is a loan, planning for the afterwards is part of the process. Dimata is that “afterwards.” While the German club has loaded up on the likes of Victor Osimhen as well, Dimata is ready in the here and now to make an impact and he is steadily proving that with his sporadic cameos in the Bundesliga. 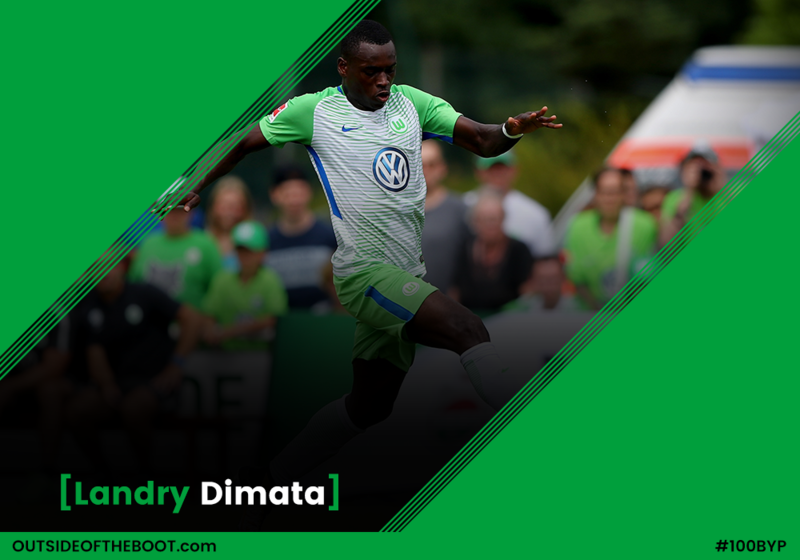 Dimata simply has too many abilities not to make an impact and, going into 2018, he will look to up his time on the pitch while providing Wolfsburg with the goals they need from him in order to bank on him long term. 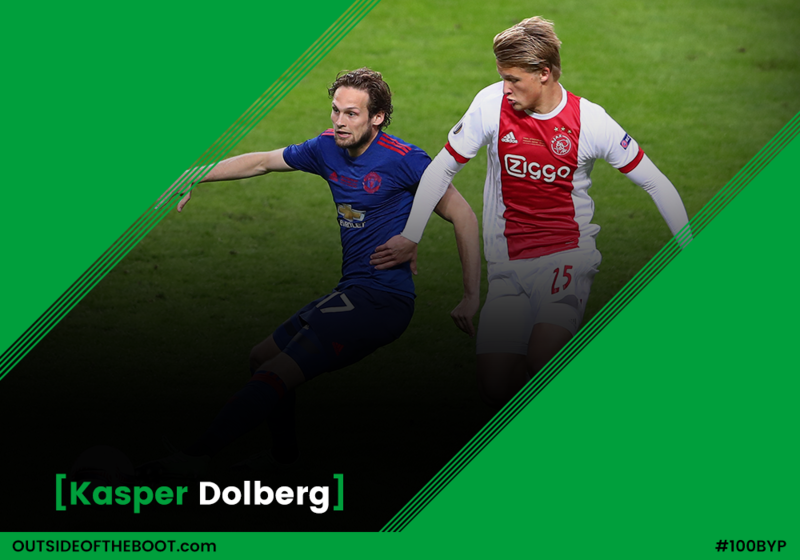 Blurb: Perhaps the biggest young talent in the current Ajax Amsterdam squad, Danish international Kasper Dolberg has been catching eyes both within the Eredivisie and in the European setting. The 20-year old finished last season with an impressive tally of 16 league goals in 29 appearances, and an admirable performance in European football. With 4 appearances and a goal already for the Danish senior national side, the forward already looks like another great addition to John Steen Olsen’s list of scouted talent. Analysis: The center forward position picked out by Overmaars is very likely Kasper’s best position on the pitch. His overall style of play can perhaps be best described as a combination of the classic 9 and false 9 roles. The young forward is often seen dropping into deeper areas, and bears the ability and intelligence to influence buildup, at times even initiating attacks from these areas – a trait expected from an Ajax forward considering the way the team play. At the age of 20, Dolberg possesses an admirable level of technical ability, particularly when it comes to striking a ball. The youngster’s finishing ability is one to note – a fact reflected by his performance last season in front of goal, with a whole spectrum of wonderful strikes ranging from neatly tucked bottom corner placement to lobs over the keeper, and even shots from distance. The young Dane is also quite a capable dribbler, often seen moving deep to receive the ball and then turn to run at defenders. This adds to the forward’s ability to spearhead the attack even from deep areas and keep up the tempo of play in the final third. Dolberg’s most eye-catching trait is perhaps his game sense, especially considering it still being very early parts of his career. The forward is surprisingly cool-headed for his age and experience level, often seen making intelligent decisions when moving off his position, with decent movement in and around the box, and is a good team player, reflected in his willingness to go beyond his positional role and participate in buildup play. Standing at 6’1’’, this strong, well-built Dane can play with back to goal, playing lay offs for teammates and proving an asset to players in attacking midfield positions. With time, we can perhaps expect more from him in the air. Looking Ahead: The move to Ajax was a great decision for Dolberg. The matching style of play, the type of players at Ajax and the coaches worked with have all favored his overall development. The likes of Bergkamp and Huntelaar seemed to have rubbed off positively on the player. After the Eredivisie, a step up is inevitable for the young forward, however, the timing of his next move will be pivotal to his career.